For the eighth week in a row Drake’s single “God’s Plan” dominates the charts. The massive smash song tops the Billboard Hot 100 chart and the Spotify Global Top 50. What’s even crazier is that the song DEBUTED at #1 on the Billboard charts, meaning it has moved at all since it was released. It’s also a pretty great feat that many song’s cannot achieve. Notably, “Plan,” which launched atop the Feb. 3-dated Hot 100, is just the sixth song in the chart’s 59-year history to spend at least its first eight weeks on the list at No. 1. It’s halfway to the record of 16 weeks at No. 1 from the start of a song’s Hot 100 run. The song that spent 16 weeks at #1 was “One Sweet Day” by Mariah Carey and Boyz II Men back in December of 1995. 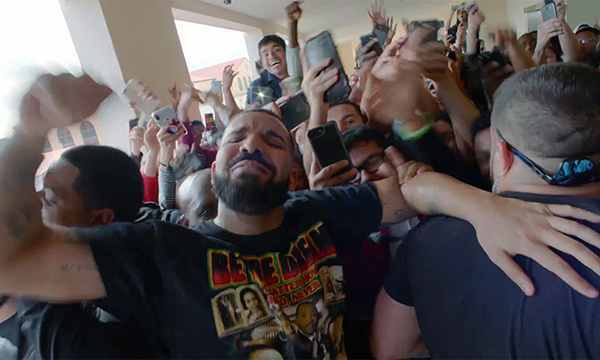 “God’s Plan” also stays on top of the Hot R&B/Hip-Hop Songs and Hot Rap Songs charts for the eighth week. That’s 2 whole month’s on top – a great feat in the era many call “microwave” or “fast food” music. However the momentum may be slowing for the track. On the Streaming Songs chart it’s down 11% to 72.9 million U.S. streams in the week ending March 15.